Deeply impressed by Sri Aurobindo’s The Life Divine, Sir Francis Younghusband had nominated Sri Aurobindo’s name for the Nobel Prize in Literature. The nomination was endorsed by the Royal Society of Literature and was accepted by the Swedish Academy in 1943 although no prize in literature was awarded in that year. However, Sri Aurobindo’s name was proposed again by Gabriela Mistral, the Nobel Laureate of Chile, who considered him as the ‘highest of mystics’ and his prose to be ‘beautifully austere and classical’. The proposal was seconded by Pearl S. Buck, the Nobel Laureate of the United States of America. A statement supporting Sri Aurobindo’s nomination was signed by thirty-six leading citizens of India including maharajas, vice-chancellors, premiers, governors and cabinet ministers and submitted to the Swedish Academy in 1950. It was also around the same time that Sri Aurobindo’s name was proposed for the Nobel Peace Prize and his was one of the thirty-four nominations considered by the Norwegian Nobel Committee in 1950. The statement signed by the leading citizens of India supporting Sri Aurobindo’s nomination has been published in the website of Overman Foundation. Sri Aurobindo is held in deep reverence in India and other parts of the world. We, his countrymen and admirers, look up to him as one who shares the vision of the Great Ones of all ages and who belongs to the galaxy of “just men made perfect.” With his divine, cosmic vision and a life breathing forth the fragrance of holiness, Sri Aurobindo has given us a glimpse, unparalleled for its profundity and sublimity, of the occult significance of the Vedas, the Upanishads and the Bhagwad Gita. Through his writings he has revealed to us once again the pathway of experiencing the Real and the Eternal. This pathway is the Integral Yoga, the simultaneous divinisation of consciousness and matter in the various dimensions of the human personality. The story of the grand strategy of Evolution through which the Supreme Being fulfils Himself in the multifarious forms of manifestation constitutes the core of this universal drama of the Becoming. Poetry has become, in Sri Aurobindo’s hands, an instrument of articulating the celestial music, the ecstasy of the Infinite, and the whole system of Sri Aurobindo’s thought is a superb edifice, a majestic summation of the Laws of the inner and the outer worlds in which the Eternal continues to exert pressure on all orders and aggregates of Life to ascend heavenward in an orchestration of a unified, co-operative movement, thus helping man to divest himself of the separative, egoistic, communalistic and nationalistic tendencies and to regain a living faith in the ideal of unity of all life. Sri Aurobindo’s profound and penetrating analysis of the fundamentals of Indian Culture and his vision of India’s glorious destiny of being the meeting-place of the best of the East and the West have awakened us to the opulent spiritual heritage that belongs to us and the part that India has to play in the destiny of mankind. 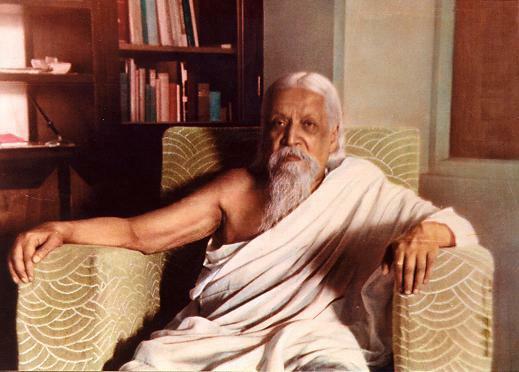 We look up to Sri Aurobindo as belonging to the family of the Seers and Sages of the world whose line has never ended and whose majesty of the soul will continue to shed lustre on all parts of the world and at all times. It is, therefore, a source of great pleasure to us to bring to your attention his contribution and to commend to your favourable consideration the proposal to award Nobel Prize in Literature to Sri Aurobindo. Hon. Mr. Gopalswami Ayyangar, Minister for Transport, Government of India. Hon. Mr. N. V. Gadgil, Minister for Works, Mines and Power, Government of India. Hon. Mr. Jairamdas Daulatram, Minister for Food and Agriculture, Government of India. Hon. Dr. Shyama Prasad Mukherjee, Minister for Industry & Supply, Government of India. Hon. Mr. K. C. Neogy, Minister for Commerce, Government of India. His Excellency Shri M. S. Aney, Governor of Bihar, Chancellor, Patna University. Hon. Dr. S. K. Sinha, Premier, Bihar Government. His Excellency Sir Chandulal Trivedi, Governor of East Punjab and Chancellor, East Punjab University. Hon. Mr. Bhimsen Sachar, Premier, East Punjab Government. His Excellency Shri Mangaldas Pakvasa, Governor of Central Provinces and Chancellor of Nagpur University. Hon. Mr. Harekrishna Mehtab, Premier, Orissa Government. Hon. Shri Gobind Vallabh Pant, Premier, United Provinces Government. His Highness the Maharaja of Gwalior, Rajpramukh of Madhyabharat Union. His Highness the Maharaja of Patiala, Rajpramukh of East Punjab Union. His Highness the Maharaja of Rewa, Rajpramukh of Vindhya Pradesh Union. Dr. Asthana, Vice-Chancellor, Agra University. Dr. D. R. Bhattacharya, Vice-Chancellor, Allahabad University. Dr. C. R. Reddy, Vice-Chancellor, Andhra University. Dr. Manvala Ramanujam, Vice-Chancellor, Annamalai University. Dr. P. Parija, Vice-Chancellor, Banaras Hindu University. Dr. P. V. Kane, Vice-Chancellor, University of Bombay. Dr. P. N. Banerjee, Vice-Chancellor, Calcutta University. Sri R. Kasturiraj Chetty, Vice-Chancellor, University of Mysore. Dr. Sir M. Bhawani Shankar Neogy, former Vice-Chancellor, Nagpur University. Mr. Ali Yar Jung, Vice-Chancellor, Osmania University. Sir C. P. N. Singh, Vice-Chancellor, Patna University. Hon. Sir Teja Singh, Vice-Chancellor, East Punjab University. Shri C. N. Acharya, Vice-Chancellor, Utkal University. Shri A. S. Bharatan, General Manger, Press Trusts of India. Mr. James H. Cousins, Poet, Dramatist, Art-Critic. Shri Tushar Kanti Ghosh, Editor, Amrita Bazar Patrika, Calcutta. Acharya J. B. Kripalini, Ex-President of the Indian National Congress. Mrs. Clara Motwani, Principal, Buddhist Women’s College, Colombo. Dr. Kewal Motwani, Visiting Lecturer to American, Indian and Far Eastern Universities. Shri Jamshed Nusserwanjee, former Mayor, Karachi Municipality. Dr. D. N. Wadia, Director, Bureau of Mines and Geological Adviser, Government of India. The Synthesis of Yoga, Vol. I. To be completed in Seven Volumes. Asadharan collection and compilation. Guru ke utsorgo kora Overman Foundation er upohar. Guru o Ma apnar hath diye aroo emon kaj koraben. I read it somewhere that his name had come up for Nobel Prize, but never knew the details. Thank you very much for your extraordinary efforts. Ma bless. you in every way. Quite like the final result of his ICS and a few other details available in his biography, something very significant in Sri Aurobindo gave the cold shoulder to these official recognitions, leaving Time to Nobelize his gifts to humanity. I am very happy to read the news.. I feel M. Kuldip Suri spoken the very words that I would like to say. Jai Ma A tiny digression on the Nobel prize for Literature to Rabindranath Thakur. After Sw. Vivekananda passed on, the spiritual leadership of the freedom movement devolved upon Sri Aurobindo, many have asserted. When he was encumbered by the British, that spiritual leadership somehow was left to the next most morally worthy person in Bangabhumi, who happened to be Rabindranath, whether he wanted this or not, and whether he was prepared for this role in any way. This is something we can debate for an eterity. C. R. Das was there, a very clean, good man, and so was the evolving Taracharan Choudhuri, later to become Srimat Ramdas Kathia Baba. So many more that i may not know of. But perhaps in terms of name recognition, and capacity to move with words, Rabindranath would have been the logical choice of the bhagya vidhata after Sri Aurobindo. Two very different personalities, and yet, two great spiritual giants who were maturing into their fullest. Sri Anirvan very sensitively discusses Rabindranath and Sri Aurobindo in more depth and with more beauty than i have seen anywhere else. Perhaps Sri Anurag will agree with me, and the many who have read closely Sri Anirvan’s many scattered references to Rabindranth, and to Sri Aurobindo, that are in no particular order or with reference to each other. But certainly worth reading, especially from a savant’s POV of their profound spiritual depths that we otherwise would find hard to enter by ourselves. Sri Anirvan has beautifully delved deep into many of Rabindrath’s most gambhir spiritual verses. just as he has entered deeply into expositions of the Savitri [ which otherwise would remain opaque without these illuminating talks!]. One thing i find from Sri Anirvan’s understand of Rabindranath is how profound a spiritual sadhak and sadhak the latter was, and a hidden one at that. 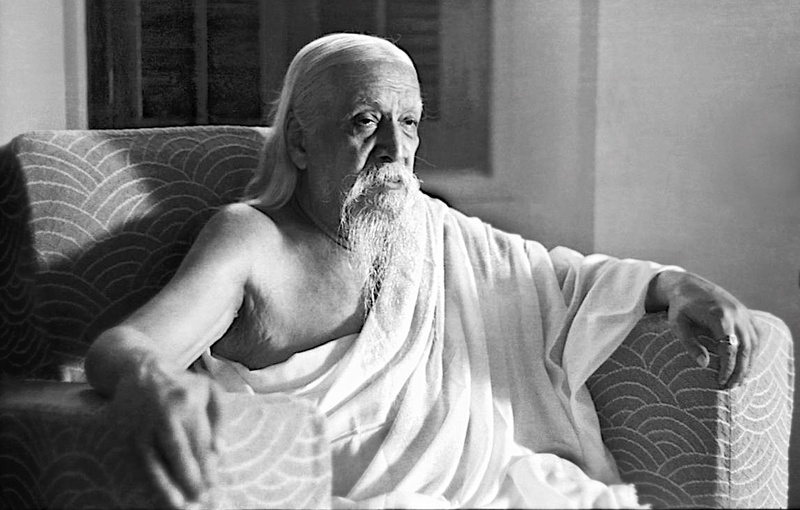 Sri Aurobindo leaves no one in doubt about his yogic radiance, be it his kanti, or his words. Rabindranath is much more concealed, his words coded in poetic metaphors. In his autobiographical excerpts, such as when he is describing the moonlit night after the death of his son, and some other places, he lets slip some of his own capacities: paari na tato noy, tobe shomoy lagey; meaning, “it is not that I cannot reach the state of samadhi but it takes me some time.” It is in the context of Sri Anirvan’s extraordinary exposition of Rabindranath’s spiritual verses that the Gitanjali, as translated by Rabindranath himself, seems so childish, nonsensical even. Rabindranath was a master in the English language, no less than a native speaker, such a Yeats, and yet his translation seems deliberately flawed. WHY? And why was a Nobel prize awarded to such a pathetic work, such hackneyed lines? Why Sri Aurobinod WOULD NOT be awarded any prize within the Anglo-American sphere of influence in 1943, or anytime after was politically quite apparent!!! equally, awarding Rabindranath the Nobel mocked his poetic greatness. Some Tamils have mocked in their blogs, available to all, about how idiotic Rabindrasangeet is and, and how idiotic bangalis are to place value on these hackneyed, musically garbage songs. Agreed, but what those Tamils, and mostly idiotic bangalis, including those from Bangladesh, who are ferociously anti-Sanatana, will never understand, is the astonishing depth of spiritual vision within Rabindranath’s songs, and verse. Not all, but enough of them, that truly make him KAVIGURU. KAVI in the Vaidika sense, and GURU in the more profound sense of gauravita hetu kirya puja. And sadly, his detractors will never read, nor be able to grasp, Sri Anirvan. This spiritual leadership of the Swadeshi movement from Swamji to Sri Aurobindo to Rabindranath becomes clearer, more plausible, when we look at their spiritual vision as explained through Sri Anirvan’s sadhaka eyes.